Honey Cleansing Method is exactly what it sounds like. Cleaning your face with honey instead of oil. This method is a very safe alternative to OCM. 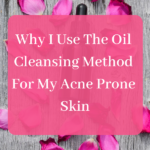 It does not use oil which may be a little nerve-wracking to try when you have acne. 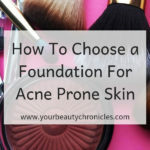 When you have acne and sensitive skin, anything you do tends to irritate it. 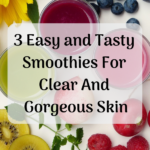 If you want to heal your acne and get soft, smooth skin you have to work with your skin rather than against it. 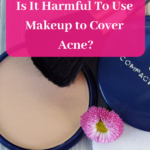 Using harsh cleansers and ointments comes under the irritating category. 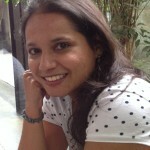 Most dermatologists recommend treatments that come under this category. 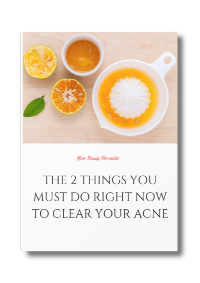 And even though the acne may heal for a while, your skin will tend to look and feel awful. The point of trying to get acne to heal is to get better-looking skin. Not skin that looks and feels like a war has taken place on it. While oil may be a little scary to use when you have acne, honey is safe. 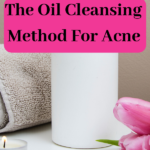 It is gentle and it actually calms your skin and works with it to heal your acne. Calming is what you want. 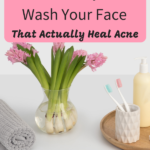 It is a much gentler alternative to a normal face wash. It is also much more appealing when you have acne than OCM. Honey is very calming, which makes it one of the best things for red, inflamed, sensitive skin with acne. 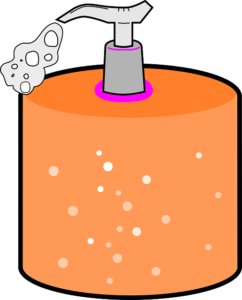 If there is one thing you don’t want when you have acne is a cleanser that will irritate your already irritated skin. 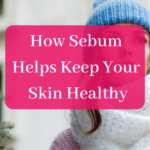 It cleans your skin without leaving it tight and itchy. You know that tight feeling you get after washing your face with a face wash? As if your face will crack if you smile? It won’t happen when you clean with honey. The antibacterial properties of honey help heal acne and prevent new ones from forming. It is great for all skin types. Whether your skin is oily or dry or combination, honey will deal with each of these problems. The oily areas are balanced while the dry areas are moisturised. Do you know of one store-bought cleanser which does this? It cleans, heals and moisturises your face all at the same time. 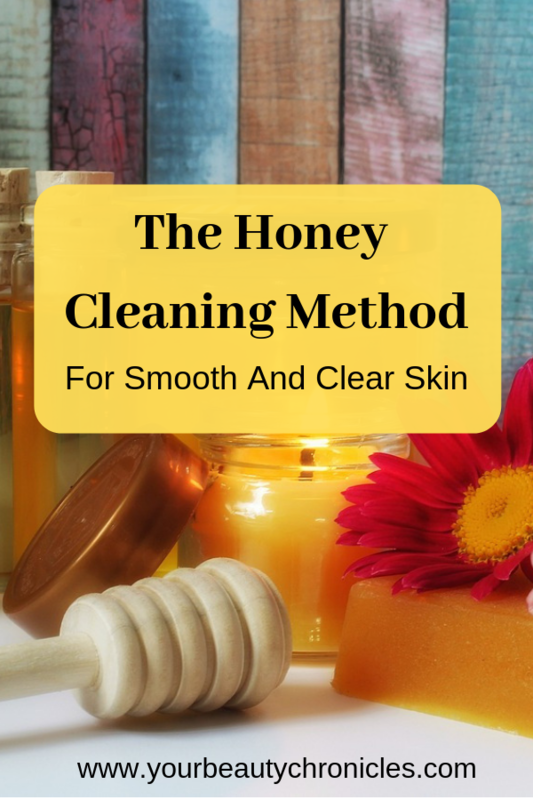 Honey heals your acne without leaving a scar. Now let us get into how you can actually use this to wash your face. First, remember to buy raw and organic honey. In the next section, I’ll explain how to do this. Now get yourself a pump bottle that looks somewhat like this. Clean it and make sure it is dry. Pour your honey into the bottle after you wash it and keep it near the sink where you normally wash your face. You don’t need to do this, but it just makes it easier and less messy. Remove your makeup with oil or a makeup remover. Pump about a coin-sized amount of honey in your palm. Add a couple of drops of water to it to make it easier to spread on your face. Apply this all over your face and massage it in gently. You can also apply the honey to your face and leave it on for 10 to 15 minutes. You will get a lot more benefit this way. If you are doing this do not add water to try and make it thinner. Just apply it to your damp face. Apply a toner if you want or rose water. 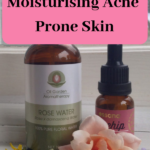 Follow with your normal moisturiser or a couple of drops of oil. It is very important that you use raw organic honey. However, it is really hard to know if the honey is pure unless it is tested in a lab. The normal honey available in the supermarket may have added sugar and will not give you good results. Try and get your honey from an organic or natural food store rather than the supermarket. Look for the words raw, unprocessed, unfiltered, unpasteurised and organic. Raw, unfiltered honey is more likely to be cloudy rather than clear. This is because it still has pollen in it. If you google and find a bee-keeper near to you, you can actually get honey that is direct from the source. This way you can rest assured that the honey is pure. Today most bee-keepers may even ship the honey out to where you live. Honey comes in all colours and it has no relation to quality. The colour comes from the blossoms the bees visited. Honey can range from colourless to a dark brown or amber. So try it out and let me know in the comments how it worked out for you. If you have a source where you get good organic honey also leave a comment telling everyone where you got the honey. This way readers who live in the area will know where to get it as well.